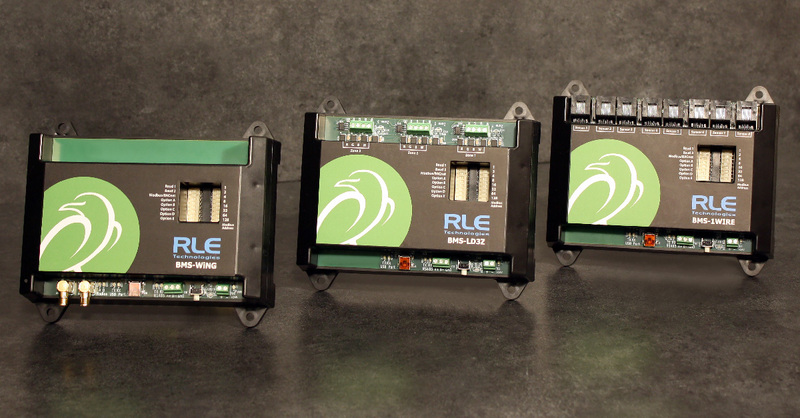 Fort Collins, CO – February 12, 2019 — RLE Technologies, a leading provider of web-based monitoring solutions and leak detection systems for mission-critical facilities, has added a new line of panel-mount monitoring devices designed specifically for system integration. These new Building Management System (BMS) modules use protocols to communicate directly with any Modbus RTU or BACnet MS/TP system. BMS-WiNG– Integrate up to 50 WiNG sensors monitoring a variety of conditions including temperature, humidity, differential pressure, and airflow. Available in 900MHz and 868MHz configurations for domestic and international installations. BMS-LD3Z– Protect a facility from costly water damage with 3 zones of RLE’s patented leak detection. The BMS-LD3Z continuously monitors sensing cable for leaks, breaks, and disconnects and sends an alarm when one is detected. BMS-1WIRE– Quickly add up to 8 plug-and-play wired temperature or temperature/humidity sensors. RLE’s 1-wire sensors are a cost-effective way to monitor for overheating or excessive humidity conditions in equipment that you otherwise would not be able to monitor with a BMS. RLE Technologies is the global provider of Triad raised floor and airflow products, SeaHawk leak detection, Falcon and WiNG facility monitoring, and Raptor system integration products. For more than 35 years, our wired and wireless monitoring systems have provided peace of mind for facility stakeholders, and over 16 million feet of our patented leak detection cable is installed in facilities worldwide. RLE’s products are designed, engineered, and manufactured in the USA. Fort Collins, CO – September 25, 2018 — On the heels of an overwhelmingly successful US domestic product adoption, RLE Technologies, a leading provider of web-based monitoring solutions and leak detection systems for mission-critical facilities, announces the full release of the WiNG wireless monitoring platform in both 868MHz and 900MHz frequencies. The complete suite of WiNG wireless monitoring products is now available for installation in data centers and critical facilities worldwide. Battery Life: WiNG sensors provide an industry leading battery life – sensor batteries last up to 12 years at room temperatures. WiNG sensors maintain this extended battery life while communicating readings to the WiNG-MGR every 10-20 seconds. Transmission Range: The WiNG system has an unprecedented transmission range: up to 600 feet indoor, direct line of sight. While this range is more than ample for most situations, sometimes applications require signals to be pushed through more complex physical or noisy RF environments. The WiNG-RXT range extender can be implemented in these situations to add up to 1,000 feet direct line of sight transmission distance to the application. Transmission Accuracy: WiNG demonstrates an accuracy of data packet transmission above 98%. This means the data you see is accurate and timely. Open Protocol Communication: The WiNG-MGR includes SNMP, Modbus, and BACnet protocols for integration into a larger BMS. No Recurring Costs: The WiNG-MGR hosts its own web pages and you own all of your data – with absolutely no subscriptions or additional fees. WiNG managers, sensors, and range extenders are in stock and available now for immediate shipment. Deployed in data centers and critical facilities worldwide, RLE’s portfolio of products includes: Triad raised floor and airflow products, SeaHawk leak detection, Falcon and WiNG facility monitoring equipment, and Raptor system integration solutions. With over 16 million feet of patented leak detection cable in service worldwide, RLE is a proven industry leader in the leak detection and monitoring arena. RLE products are proudly manufactured in the USA. Tim will take a very active role in capacity planning, vendor relationships, cost containment, and efficiency gains, as well as strategic growth for the future. A testament to his foresight, Tim’s leadership has already guided RLE through a $500,000 investment in automation equipment which increases production capacity by 300% - containing labor costs while increasing production capabilities. Fort Collins, CO – April 18, 2018 — RLE Technologies, a leading provider of web-based monitoring solutions and leak detection systems for mission-critical facilities, announced today that it has added a new product to their leak detection portfolio of products: low smoke zero halogen leak detection sensing cable. RLE’s low smoke zero halogen (LSZH) cable responds to leaks in just the same way and just as quickly as the company’s orange leak detection sensing cables – water is detected and a signal is sent back to the leak detection controller, identifying the leak and sending notification to responsible parties immediately. In addition, LSZH cable is specifically formulated to release significantly less smoke and zero halogen upon combustion. In the event of a fire the smoke released by the LSZH cable is lower in quantity, less optically dense (easier to see through), and releases fewer toxic and corrosive gases than other leak detection cables. This makes exiting a space safer for employees and accessing the source of a fire easier for emergency personnel. These intrinsic characteristics make RLE’s LSZH cable an excellent fit for specialty installs and applications with limited ventilation including subway tunnels, nuclear power plants, aircraft, tanks, ships and submarines, and subsea or offshore installations. RLE’s LSZH cable can be used inline with their patented orange leak detection sensing cable and can be used in new applications and integrated seamlessly into any existing RLE leak detection monitoring systems. LSZH cable is in stock now and available for immediate shipment. For more than 30 years, RLE Technologies has designed, engineered, and manufactured innovative technologies that support our overarching company mission: to prevent disasters, preserve our customer’s reputations, and provide every customer with valuable peace of mind. Deployed in data centers and critical facilities worldwide, our portfolio includes: Triad raised floor and airflow products, SeaHawk leak detection products, Falcon facility monitoring equipment, Raptor system integration solutions, and our RLE Services which offers complete system startup, commissioning, and product training services. Thousands of customers worldwide rely on RLE’s patented products to detect threats, notify stakeholders, and mitigate risks to their critical sensitive environments, and with over 16 million feet of our patented leak detection cable in service worldwide, RLE is a proven industry leader in the leak detection and monitoring arena. RLE products are proudly manufactured in the USA. Fort Collins, CO – November 14, 2017 — RLE Technologies, a leading provider of web-based monitoring solutions and leak detection systems for mission-critical facilities, announced today that it has launched an ecommerce website: buy.rletech.com. Buy.rletech.com offers a selection of RLE’s and Triad’s most frequently purchased products and provides customers with a highly visual and direct way to purchase either full monitoring and flooring systems or components to add to their existing product installs. RLE Technologies is a leading global provider of critical facility oversight and notification. For more than 30 years, RLE has delivered facility monitoring and leak detection technologies that prevent disasters, preserve our customers’ reputations, and provide peace of mind. Our portfolio includes a variety of solutions to accomplish these important goals: SeaHawk for Leak Detection, Falcon for Facility Monitoring, Raptor for System Integration, Triad for Raised Floors, and our RLE Services. Thousands of customers world-wide rely on RLE products to detect threats, notify stakeholders, and mitigate risks to their critical sensitive environments. RLE products are manufactured in the US. New raised floor tile introduced as a response to customer feedback; provides opportunity for airflow efficiency at a lower price point. Fort Collins, CO – August 23, 2017 – Triad Floors, a division of RLE Technologies and a leader in high-performance airflow panels for raised floor data centers, announced today that it has added a new airflow panel to its data center raised floor line of products. Triad’s new Aluminum Grate panel will be in stock and ready to ship on September 1st, 2017. 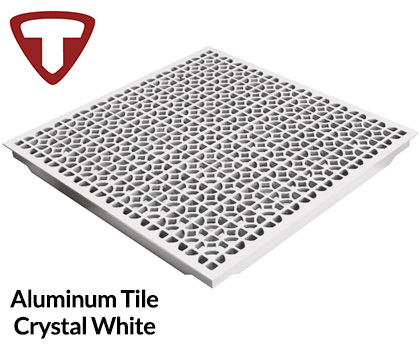 Designed to fit most existing imperial (24” x 24”) dimensioned raised floors, the new high performance cast aluminum panel has a 1,250 pound load rating and is offered in Triad’s Crystal White and Grey Flek powder coat colors. Users appreciate the tile’s 55% effective open area which helps facilities meet high-flow cooling requirements. An extremely competitive price point means the new Aluminum Grate provides Triad customers with a quality, proven data center cooling and airflow solution at a price previously unavailable in Triad’s portfolio. RLE Technologies is a leading global provider of critical facility oversight and notification. For more than 30 years, RLE has delivered facility monitoring and leak detection technologies that prevent disasters, preserve our customer’s reputations, and provide peace of mind. Our portfolio includes a variety of solutions to accomplish these important goals: SeaHawk for Leak Detection, Falcon for Facility Monitoring, Raptor for System Integration, Triad for Raised Floors, and our RLE Services. Thousands of customers world-wide rely on RLE products to detect threats, notify stakeholders, and mitigate risks to their critical sensitive environments. RLE products are manufactured in the US. Additional information can be found at https://www.rletech.com. Triad Floors, a division of RLE Technologies, is a leader in manufacturing high-performance airflow panels for raised floor data center environments. In response to the need for an efficient cooling panel that would fit into any new or existing raised access floor systems, Triad designed and patented cooling airflow panels that allow for an increase in rack density while remedying data center and server farm hotspot challenges. Denver & Fort Collins, CO – April 25, 2017 – RLE Technologies, a leading provider of web-based monitoring solutions and leak detection systems for mission-critical facilities, formally announced today the acquisition from NxGen of Triad Floors, a prominent manufacturer of data center floor tiles and effective airflow solutions. The transaction was approved by the Boards of Directors of both companies on April 10, 2017. The acquisition adds a new level of diversity to RLE Technologies’ product portfolio, which has become an industry leader in the protection of data centers and other mission critical facilities through environmental threat detection and web-based monitoring solutions. The firm will now provide a wide variety of raised floor data center solutions, including Triad’s patented high-flow panels, as well as a number of additional airflow and cooling improvement options which help customers achieve industry-leading data center Air Utilization Efficiency (AUE) scores. Triad Floors is also the creator of the River Cooling System, which provides reductions of up to 40% in data center cooling energy costs by replacing ineffective airflow systems with improved Fluid Dynamics Management. The genesis of the acquisition comes from a strategic planning process RLE Technologies underwent in 2016, which resulted in a restructuring of the firm’s management team. It also identified revenue diversification as a new primary goal for the company, and the purchase of Triad Floors will go far to add an array of complimentary offerings for the data center and mission critical space. Both firms are based in Colorado and manufacture their products in the state. As part of the agreement, all current Triad Floors employees will be retained in their present roles. Gary Meyer, the founder and owner of both NxGen and Triad Floors, will be intimately involved in the transition, future company growth and new product development. Tim Hirschenhofer, the new Senior Vice President of Triad Floors, will be responsible for business development and operations. An industry veteran, Hirschenhofer brings more than 15 years of experience in data center airflow and energy optimization to his new position. RLE Technologies is a leading global provider of critical facility oversight and notification. For more than 30 years, RLE has delivered facility monitoring and leak detection technologies that prevent disasters, preserve our customer’s reputations, and provide peace of mind. Our portfolio includes a variety of solutions to accomplish these important goals: SeaHawk for Leak Detection, Falcon for Facility Monitoring, Raptor for System Integration, and our RLE Services. Thousands of customers world-wide rely on RLE products to detect threats, notify stakeholders, and mitigate risks to their critical sensitive environments. RLE products are manufactured in the US. Founded in 2003, Triad Raised Floor Company provides a full suite of airflow and raised floor panels, hot/cold aisle containment solutions, and blanking panels that are designed to increase cooling, lower costs, and maintain uptime for the data center industry. In response to the need for an efficient cooling panel that would fit into new or existing raised access floor systems, Triad Floors created the passive "River Cooling System©.” This innovative design increases server airflow density while remedying data center and server farm hotspot challenges. Triad Floors guarantees that they can fit any raised floor design without modification to the existing raised floor system and all of the company’s design, manufacturing and distribution is proudly done in Colorado. Triad Floors also administers a global distribution network to provide rapid response and support anywhere in the world. Santa Clara, CA – April 14, 2017 – Instor Solutions, Inc, RLE Technologies, and Upsite Technologies, today announced a complimentary event for data center operators at Digital Realty’s Santa Clara, Calif. facility. Titled Beyond Whitespace, the seminar will be held on April 27, 2017 from 8:00 a.m. – 12:00 p.m. Attendees are invited to tour the data center at the conclusion of the event. Effectively expanding or building out whitespace into an efficiently running data center requires the ability to be prepared for unexpected circumstances. After working in hundreds of data centers around the globe, Instor, RLE, and Upsite each bring a unique perspective and lessons learned from a multitude of examples and challenging scenarios. Leading the discussion, Instor, an expert in building out data center whitespace, will outline the composition of full-suite environments, relationship between IT systems and physical assets, and how to understand expansions with attention to both current goals and future needs. RLE Technologies, a leader in mission critical leak detection and environmental monitoring solutions, will explore why current operations look to DCIM solutions, how monitoring whitespace makes a difference, and what the implementation of these solutions entails. To conclude, Upsite Technologies, an industry authority on data center airflow management, will examine the science of airflow and available best practices for immediately improving operational efficiency. Mark Bramfitt, former designer and director of PG&E’s data center and IT program, will moderate Beyond Whitespace and present on energy trends and their impact on data center operations, how the industry has evolved over the last decade, and the role of Cloud adoption in data centers. Digital Realty’s data centers in Santa Clara, Calif. offer premium interconnection and colocation services. An executive from Digital Realty will spend time at this event speaking about how the world-famous center of innovation and technology, Santa Clara, also offers demonstrable advantages in location, infrastructure, low operating costs, low-cost energy—including the Bay area’s lowest utility rates—and a business-first attitude. Additional details and registration for Beyond Whitespace can be found here. Digital Realty supports the data center and colocation strategies of more than 2,200 firms across its secure, network-rich portfolio of data centers located throughout North America, Europe, Asia and Australia. Digital Realty’s clients include domestic and international companies of all sizes, ranging from financial services, cloud and information technology services, to manufacturing, energy, gaming, life sciences and consumer products. Instor Solutions, Inc collaborates with high-growth startups to Fortune 1000 companies providing customized data center infrastructure solutions facilitating individual data center needs. Instor builds out wholesale colocation, lab, and data center spaces from whitespace to operation ready. Instor’s specialized data center fit up service reduces overall build time and project costs. Instor is an industry leader in data center design, structured cabling, power infrastructure, and specialized containment and cooling solutions. With over 25 years of experience, Instor is headquartered in the San Francisco Bay Area. Instor has complete North American coverage with regional hubs in the Ashburn Area and the Dallas-Fort Worth Area. Instor has capabilities extending to Europe with a European headquarters based in Dublin, Ireland. RLE Technologies is a leading global provider of leak detection and monitoring solutions for critical facilities; more than 14 million feet of our leak detection cable is currently in service, preventing fluid damage in facilities worldwide. Heralded for our protocol integration capabilities and tip-tier reliability, our portfolio includes our patented SeaHawk leak detection cable and controllers, Falcon monitoring products, and Raptor integration solutions. With more than 30 years of experience in our industry, we hold nine patents for our innovative products and the technology that powers our leak detection and facility monitoring controllers. We proudly manufacture our products in the USA and are committed to preventing disasters, preserving our customers’ reputations, and providing stakeholders with peace of mind. Upsite Technologies®, Inc. is an industry leader in data center airflow management and cooling. Upsite provides a full suite of products and services designed to optimize data center cooling systems, allowing managers to maximize cooling capacity while reducing energy costs. Upsite distributes its award-winning line of services and products, including KoldLok®, HotLok®, AisleLok®, and EnergyLok® through leading channel partners in the data center industry throughout the United States, EMEA and the Asia Pacific regions. Upsite Technologies, Inc. was founded in 2001 by Ken Brill, creator of the Uptime Institute, a think tank dedicated to understanding, improving, educating and expanding awareness of uptime and inefficiencies in data centers. Fort Collins, CO – April 3, 2017 – RLE Technologies, a leading provider of web-based monitoring solutions and leak detection systems for mission-critical facilities, announced today that CRN®, a brand of The Channel Company, has named the firm to its 2017 Data Center 100 list. Recognizing the technology suppliers that excel at powering, supporting and protecting the complex and demanding data centers on which today’s businesses rely, the annual list highlights the providers that represent their respective fields with a combination of innovation, market share, and technology and channel capabilities. Named among only 20 other companies, RLE Technologies is recognized in CRN’s “Data Center Management Provider” category. The listing highlights RLE Technologies’ many tools that detect environmental hazards. Within its portfolio of leak detection and facility monitoring equipment, the company offers a variety of solutions, including: fluid detection cabling, spot detectors, facility monitoring systems, and an assortment of both wired and wireless sensors that monitor environmental conditions (temperature, humidity, smoke and others). Additionally, RLE Technologies directs a robust channel program that includes more than 80 partners. 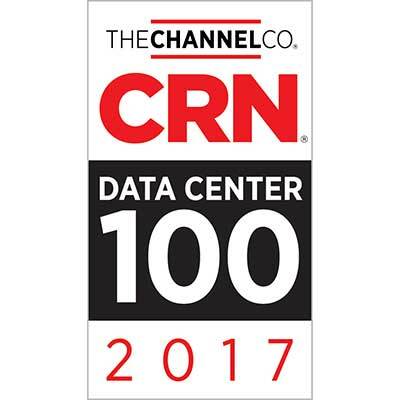 CRN editors select companies for the Data Center 100 list on the basis of multiple criteria, including each company's overall impact on the market, its influence on the channel as a whole, and the types of technology and services it makes available to its partners. In addition to recognizing technology suppliers for outstanding products and services, the Data Center 100 serves as a valuable guide for solution providers looking for best-in-class vendors providing data center infrastructure, data center management tools, software-defined data center technology and data center services. The Data Center 100 list can be found at: www.crn.com/datacenter100. Fort Collins, CO – January 25, 2017 – RLE Technologies, a leading provider of web-based monitoring solutions and leak detection systems for mission-critical facilities, announced today that it has been awarded a patent by the United States Patent and Trademark Office for its Facilities Management System. This newly patented technology provides a highly interactive, visual representation of the facilities, sites, and equipment monitored by RLE environmental monitoring devices. U.S. Patent No. 9,420,042, entitled “Facilities Management System” and marketed by RLE Technologies as Delta View, encompasses both the unique nesting feature currently used in RLE Technologies’ Falcon product line as well as the interactive mapping feature used in both the Falcon and SeaHawk product lines. Nesting allows a system of facilities management devices and sensors to be networked through linked map images. The visual links change state to report the existence of alarm conditions. This allows users to quickly analyze data from their connected equipment and immediately locate the sensor or networked hardware that has activated the alarm. The innovative technology integrates various management systems and communications protocols and provides a wide range of options for facility managers as their monitoring needs expand. The new patent also covers the mapping technology found in both the Falcon monitoring system and a variety of RLE Technologies’ leak detection solutions. Interactive mapping allows users to upload a graphic (such as a facility map) to the facility management system and pinpoint the location of their monitoring tools which can include sensors, leak detection cable points, and other hardware devices. When alerts from these devices and points are activated, facility managers have a clear idea where the alarm is located and can rapidly respond to and address the problem. Don Raymond is one of the founding partners of RLE Technologies and has been developing new techniques and products to protect mission critical facilities for more than 30 years. In pursuit of this goal, he has been awarded nine patents. RLE Technologies is a leading global provider of critical facility oversight and notification. For decades, RLE has delivered facility monitoring and leak detection technologies that prevent disasters, preserve our customer’s reputation, and provide peace of mind. Thousands of customers world-wide rely on RLE products to detect threats, notify stakeholders, and mitigate risks to their critical sensitive environments. RLE products are manufactured in the US. 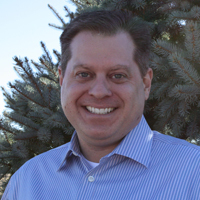 Fort Collins, CO – November 15, 2016 – RLE Technologies, a leading provider of web-based monitoring solutions and leak detection systems for mission-critical facilities, announced today the appointment of Jeremy Swanner as the company’s President. Mr. Swanner assumes the new leadership position from his previous role of Executive Vice President at RLE Technologies. In this new capacity, Mr. Swanner will be responsible for continuing the company’s steady growth in the data center and facilities markets, expanding its robust channel program, and overseeing its general operations, including: product innovation and development, customer support, and business development. 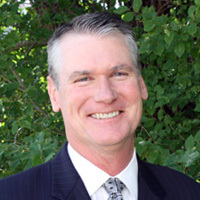 Prior to joining RLE Technologies in 2012, Mr. Swanner worked in a leadership capacity for a variety of companies, including: National Sales Director for Staples’ Corporate Express Imaging and Computer Graphic Supplies as well as Director of Channel Sales for Server Technology. Mr. Swanner’s new appointment comes at a significant time for RLE Technologies, as several high profile outages in mission critical industries have occurred over the last several months, underscoring the important role that monitoring solutions play in avoiding downtime. Fort Collins, CO – December 10, 2014 – RLE Technologies, a leading provider of water leak detection systems and web-based monitoring solutions for mission-critical facilities, today released its list of the top five threats for leaks in a mission critical facility and how to solve these issues, determined by its experts in leak detection and experience in data centers across the nation. Faulty Mechanical Equipment: Uncapped sprinkler lines, leaky storage tanks, improperly monitored A/C units, leaking water filter units. Structural Failures: Leaky roofs, improperly installed windows, clogged drains, overall general faulty construction. Piping issues: Failing pipes/fittings/valves, freezing pipes, fluid hammer effect (a pressure build-up when fluids stop or change directions suddenly), faulty pipes in primary plumbing walls. Human Related Issues: Overflowing basins, accidental damage to sprinkler lines, intentional sabotage. Weather Related Fluid Intrusion: Minor flooding as a result of unexpected weather issues. RLE Technologies specializes in identifying and solving fluid leaks or detection issues in mission critical facilities, among other environmental concerns. View their leak-detection checklist here for further information or visit rletech.com. 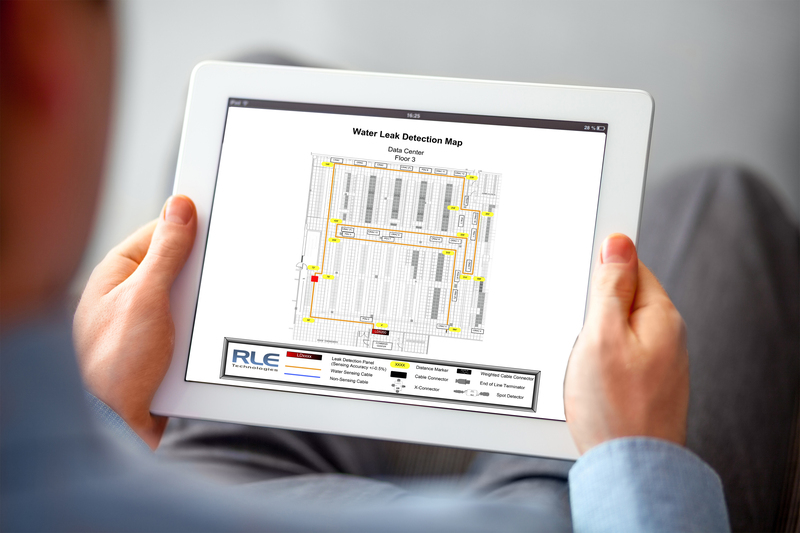 New Orleans, LA – September 10, 2014 – RLE Technologies, a leading provider of water leak detection systems and web-based monitoring solutions for mission-critical facilities, announced today that it will make two presentations at IFMA’s 2014 World Workplace Facility Conference & Expo. The conference will be held between September 17 and 19, 2014 at the Ernest N. Morial Convention Center in New Orleans, Louisiana. RLE will be presenting on September 18th and 19th in two areas of importance to the critical facilities industry. The first seminar is “Pay Me Now or Pay Me a Lot More Later: How To Get the Budget You Need to Prevent Catastrophes, Not Clean Them Up.” Attendees will learn the basic causes and costs of downtime in a facility, the resulting costs from intangible concerns, and five steps to take to get an environmental monitoring budget. The subject on the 19th is “Cut the Cord: Retrofitting Environmental Monitoring Into Your Facility.” The discussion will include an overview of environmental monitoring and why it’s used today, the impacts of various monitoring technologies (including wire-free), and how to evaluate which type of monitoring solution is best for your facility. RLE Technologies is also exhibiting at the World Workplace Facility Expo. The company will have facility monitoring experts at booth 924to provide information about leak detection, systems integration, and a variety of facility monitoring solutions. To register for the 2014 IFMA World Workplace Facility Conference and Expo, please visit http://worldworkplace.ifma.org. Atlanta, GA – March 13, 2014 – AdaptivCOOL, Paragon International, INC, RLE Technologies, and Upsite Technologies, today announced that they have teamed up for a complimentary Wine & Wisdom event designed to facilitate conversation and give data center end-users the best practices needed to optimize facility environments while maintaining data center uptime. The event entitled Keeping the Up in Uptime will be held on Thursday, April 3, in Atlanta, GA from 4:30 p.m. – 7:30 p.m. Several speakers will explore themes of efficiency and optimizing the data center for energy savings and how to avoid uptime disasters. The evening event will feature noted utilities and IT Consultant, Mark Bramfitt and T5 Data Centers’ Joseph Parrino. As the former designer and director of PG&E’s data center and IT program, Mark Bramfitt will make the case that better insight and management of a cooling infrastructure yields tangible benefits – in energy and cost savings, reclaimed capacity, and better reliability and uptime. Additionally, Mark will provide an overview of the utility incentive landscape and available incentives for data center projects. Joseph Parrino, Senior Vice President of Data Center Operations for T5 Data Centers will discuss how attendees can optimize their facilities’ environmental conditions to maintain uptime and improve performance. In his role at T5 Data Centers, he is responsible for providing 100% uptime at T5’s seven facilities and is the technical liaison between T5 and its tenants. Prior to joining T5, he was a Senior Facilities Manager for UPS, where he developed a Critical Power Distribution electrical architecture and rack standardization. Held at The Wiley, the event will feature a selection of wines for tasting and a local sommelier. Additionally, attendees will be automatically entered to win a $500 American Express gift card. Additional details and registration for the event can be found here. AdaptivCOOL, a technology brand of Degree Controls Inc., has drawn upon two decades of airflow and thermal engineering to offer a complete Intelligent Airflow Management system for data centers called Demand Based Cooling (DBC). AdaptivCOOL’s dynamic airflow solution mitigates thermal problems in real-time, increasing operational efficiency and IT safety at the rack, aisle, and facility levels. Paragon International, INC is one of the largest cleaning and disaster recovery firms in the US specializing in data center and clean room environments. Paragon’s national crews are made up of well-trained professionals that understand how important your critical environment is to your company and provide an unrivaled level of service. RLE Technologies is a global leader in critical facility monitoring and disaster prevention. Primarily centered around detecting fluid leaks and helping maintain optimal ambient conditions, RLE’s 30 years of experience have saved our customers countless actual dollars (not to mention many a company reputation) that comes with the downtime associated with environmental threats. Upsite Technologies provides a full suite of products and services designed to optimize data center cooling systems, allowing managers to maximize cooling capacity while reducing energy costs. Upsite Technologies’ products and services empower data center managers to leverage cost savings and /or improve key elements of data center operations.